The Northern Sea Route (NSR) gradually becomes an important transport corridor: latest navigation season set a new record in the number of vessels. The Russian energy giant Gazprom successfully completed world's first LNG supply via the route. What are the economic reasons behind this ambitious project? The answer is simple: a look at the globe shows that the NSR can be extremely cost-effective. A new shorter trade link between Europe and East Asia can boost trade and therefore accelerate economic growth. Historically Russia has always played a pivotal role in the Arctic shipping industry. The first all-year route via NSR began in 1978 in the Soviet Union between the Yenisey port of Dudinka and Murmansk. Today three major cargo flows dominate sea transport in the Russian Arctic: export of ores and metals, eastbound and westbound shipping of goods and finally growing oil and gas export. But what are the real economic reasons behind the revival of this ambitious project? First, reliable reports from different sources indicate that ice-melting rates remain high. Second, the NSR looks quite promising if we consider chronic political problems in the Middle East, piracy in North Africa and non-transparent commercial disputes over the Suez in Egypt. Finally, the Russian government is turning the thawing Arctic into a brand-new tourist market . Statistics reflects positive dynamic on the NSR. The 2012 navigation season set a new record both in relation to the amount of cargo and the number of vessels. Last season 46 vessels sailed the route, compared to 34 in 2011 and only 4 in 2010. The total cargo transported on the NSR in 2012 was 1 261 545 tons -- a 53 percent increase from 2011 (820 789 tons). Petroleum products constitute the largest cargo group including LNG supplies from Russia to China. And no wonder: the NSR can reduce the voyage of shipping for almost 40 percent in comparison to the passing through the Panama or Suez canals. Analysis of Russia's steps to revive the NSR shows that all current activity in the High North is of purely economic nature. The NSR lies within the Russian exclusive economic zone, which is developed according to the Strategy of the Russian Arctic Zone Development and National Security until 2020. Due to high commodity prices Moscow strives to create new maritime communications in the Russian Arctic. It has attracted serious investors like Exxon Mobil or Statoil, creating jobs in the region and ensuring a further rise in domestic GDP. "The Arctic Shelf becomes one of the main sources of oil and gas for Russia," explains Alexander Danilov, Deputy Director of the St. Petersburg Institute of the Arctic and the Antarctic. 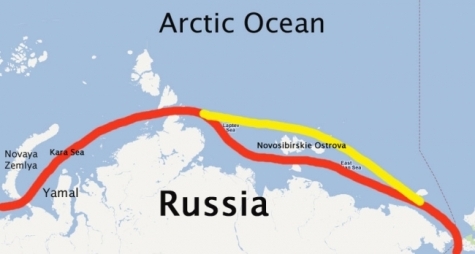 "In such a situation, Russia needs a route via the Arctic Ocean. A law concerning the status of the Northern Sea Route has already been adopted, and the administration of the route has been formed in Moscow." Private investors also see economic benefits of the NSR. Norwegian businessman Felix H. Tschudi (Tschudi Shipping Company) has completed a feasibility study of the transport corridor. "It is no longer difficult to obtain permission. Atomflot and the NSR Administration are service minded," he says. Recent energy supply by Gazprom has proven that the route linking West and East can be quick and cost-effective. Fridtjof Nansen Institute (Norway) estimated, that eastbound transit cargo potential between Europe and the north Pacific Region via the NSR may reach 5 million tons. Regarding infrastructure it is hardly an exaggeration to say that Russia has the world's best fleet of atomic icebreakers. For example, "The 50 Let Pobedy", a powerful nuclear icebreaker, was built in 2007. A next generation nuclear-powered icebreaker is going to be built by 2016. Arctic tourism industry is also heavily dependent on the NSR: for example, the "Russian Arctic" national park is a new challenge to outdoor adventurers. 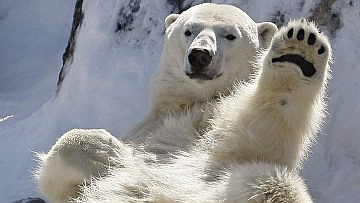 According to the WWF news , its environmental purpose is to protect key polar bear habitat. Upgraded icebreaker fleet is routinely used for tourist purposes carrying passengers to the "Russkaya Arktika" national park and to the North Pole. In summary, the NSR revival is an ambitious project of historic importance not only for Russia, but also for other members of the Arctic Council. The new frontier in the High North can open access to enormous resource base of the Russian Arctic, develop a solid shipping lane and create a popular tourist destination. Russian web journalist and researcher in the fields of global economy and energy policy. Route Magazine (routemag.com) editor and columnist. Eurocrats have ruined Cyprus's economy: who's next?